If the Braddocks were throwing a pool party today, their son Ben wouldn’t be contemplating a career in plastics; he’d know the future is in crypto tokens. Mr. McGuire: Enough said. That’s a deal. Fifty years or so ago, plastics were on the road to becoming as ubiquitous as cryptocurrency will be 20 years from now. The financial goals we have today are nearly identical to those a half century ago: a well-paying job, safe and successful investments, college for our kids, a comfortable standard of living and enough resources to see us through retirement. However, we’re not doing a very good job of it. Nearly 7 in 10 Americans have less than $1,000 in savings. The way we attain these assets, and the numbers of us who are able to attain them, however, will look very different in the future, thanks to tokenization. Our ability to profit from our investments relies on two things: having the resources needed to purchase the asset and then having a way to sell it — a concept known as liquidity. From real estate to gold bullion, diamond mines to carbon offsets, the smallest investors to the largest corporations will be able to procure fractions of tokenized assets. Investors could buy a portion of a shopping mall or invention patent, trade the token for a different investment, or sell their share. Tokenization will change how we think about — and extract liquidity from — our everyday, under-utilized assets too. As the sharing and access economies take off, the need for tokenization will only increase as transactions get smaller, the blockchain expands to more people (less than 0.3% of the world’s population own crypto tokens today), and our concept of assets stretches further to the edges — through tokens. The concept of tokens is nothing new. Remember the arcade game called Skee-ball? You’d roll a ball into one of a number of holes, each worth a certain number of points. At the end of the game, you were awarded tickets, which could be turned in for a prize. The more tickets you collected, the better the prize. Casino patrons bet with chips, which they trade for cash if they have any left at the end of the night. Simply put, a token is a surrogate equivalent to something of value, like a poker chip or a dollar bill. When someone sends you crypto tokens over a public blockchain, they are actually sending you an encrypted version of their public key. To receive their tokens, your private key unlocks and then reads their public key which includes data such as how many tokens they sent to your wallet. This is how sending crytpo tokens from one person (or address) to the next works. Finally, for the transaction to be validated and added to a public blockchain like Bitcoin or Ethereum, miners use electricity to solve very complex computational puzzles. If they solve the puzzle, then they receive new crypto tokens for their work. This is the essence of the first generation of crypto tokens. As we move into the second generation and beyond, there will be many more crypto tokens using new consensus algorithms, new economic designs, and new security protocols. The one’s that work will change the world. 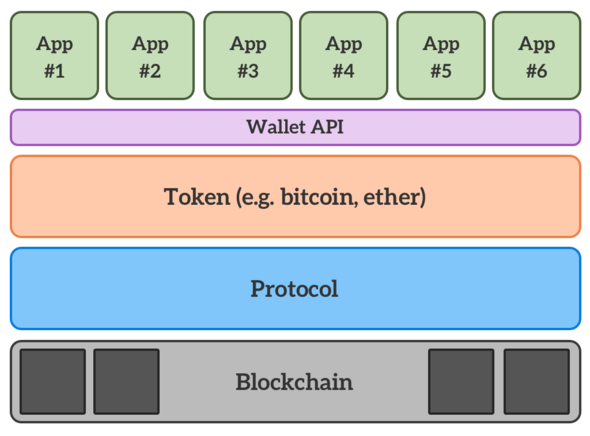 Today Bitcoin and Ethereum are the dominant blockchain protocols. To validate its transactions, miners collectively consume the same amount of electricity as a small country. To get an idea of how large and remote these mining operations are, see how it looks in China. Decentralized consensus algorithms like Proof of Stake work for both senders and receivers of crypto tokens. They trust decentralized consensus algorithms for the validation of their transactions — they don’t need bankers, lawyers, and governments to guarantee or produce currency. They trust the algorithm and the math/economics underneath it. I have a feeling the crypto token revolution is just beginning. It couldn’t be illustrated any better than, in 2010, someone purchased two pizzas for 10,000 bitcoin tokens, or at the time for $25 of bitcoins. Today, those 10,000 bitcoins are worth $43 million — or 3.44 Million pizzas. Originally, crypto tokens were created for Bitcoin, a Peer-to-Peer Electronic Cash System. Bitcoin has the ability to record every transaction on all users’ records simultaneously because its database isn’t stored in a single location. Instead, the database is stored on the computers of the miners who are validating the transactions that make up the Bitcoin blockchain. This concept is called decentralization. Bitcoin’s transaction records are 100 percent public, easy to verify, and nearly impossible to — once validated by the Bitcoin Proof of Work consensus algorithm — attack or corrupt. This concept is called Byzantine Fault Tolerant. As developers create new decentralized blockchain protocols, the options for tokenizing assets become limitless, as does the opportunity to decentralize wealth itself. It’s why I think Bitcoin’s decentralized consensus Proof of Work algorithm is the most important invention of the 21st century to-date. Tokens will make it possible for people of all economic levels to buy into investments that so far have been out of their reach. Selling their interests in these investments will be as easy as making a couple of keystrokes. Tokens will drastically expand and remix our definition of asset investing, today and in years to come. Mr. McGuire was right about plastics. In the 60s it was a “huh” but now it’s almost impossible to find something that doesn’t contain plastic or isn’t wrapped in it. I believe that yesterday’s plastics are today’s crypto tokens. As Mr. Mcguire might say to Ben if they were at Mrs. Robinson’s pool party today, “There’s a great future in crypto tokens”.